***home team determined by coin flip in all pool play games. For semifinals and finals, higher seed is home team. 7:30 pm Diamond Hit Club 1 Brownlee Lookouts 8 at Cuyahoga C.C. 9:30 am Diamond Boys Schoenman 1 Hurricanes Select Fratalonie 11 at Lakewood H.S. 9:30 am Ohio Hit Club 3 Force Ohio 6 at Westlake H.S. 9:30 am Release Baseball 1 T3 Rays 3 at Cuyahoga C.C. 12:00 pm Midwest Ironbirds 3 Hurricanes Select Fratalonie 15 at Lakewood H.S. 12:00 pm Diamond Boys Farber 7 T3 Rays 1 at Cuyahoga C.C. 2:30 pm Release Baseball 4 Brownlee Lookouts 3 at Cuyahoga C.C. 2:30 pm Ohio Hit Club 10 Midwest Ironbirds 11 at Lakewood H.S. 5:00 pm Diamond Boys Farber 8 Brownlee Lookouts 12 at Cuyahoga C.C. 2:45 pm Force Ohio 7 Hurricanes Select Fratalonie 12 at Cuyahoga C.C. 3:15 pm Hurricanes Select Kimmick 3 T3 Rays 9 at Lakewood H.S. 5:30 pm Ohio Hit Club 7 Hurricanes Select Frat. 10 at Cuyahoga C.C. 5:45 pm Hurricanes Select Kimmick 2 vs. Brownlee Lookouts 12 at Lakewood H.S. 6:15 pm Midwest Ironbirds 7 Force Ohio 14 at Baldwin Wallace Univ. 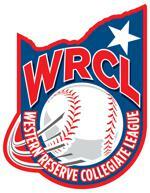 8:00 pm Release Baseball 4 Premier Ohio Cicerchi 3 at Cuyahoga C.C. 8:15 pm Diamond Hit Club 4 T3 Rays 7 at Lakewood H.S. 4:00 pm Hurricanes Select Frat 0 Ohio Longhorns DeMarino 3 at Cuyahoga C.C. 6:45 pm Brownlee Lookouts 11 vs. Ohio Longhorns 4-- at Cuyahoga C.C.